Chance to upgrade your first character Birdie! 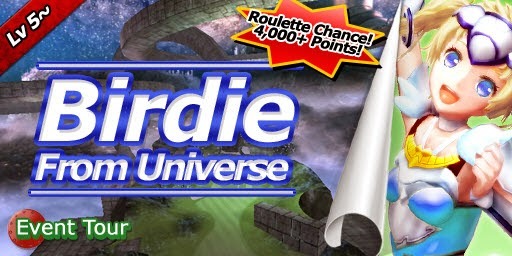 Get 4,000+ points and then you will see Birdie on the roulette! 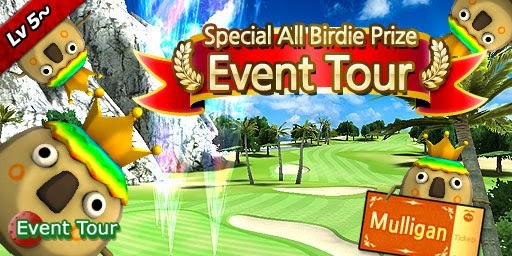 The all-birdie prize is 3 Boosts. Get all-birdie in this tour and win Mulligans. You can rejoin it every 30 minutes! The all-birdie prize is 1 Mulligan Ticket (1 day).